I resisted reading this book at first. Why? For the same reasons we prefer not to discuss our wills, our pre and post death wishes. It sounds depressing. I’ve never had the experience, so I don’t need guidance. These are all the reasons a child will give, and it was the child in me speaking. I don’t foresee this being something for which I need prepare. 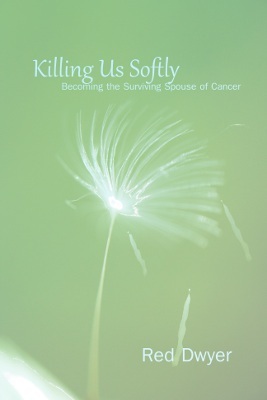 And I felt I would be making myself depressed and sad by reading about this woman’s experience as the spouse of a cancer victim. But from the preface forward, I have felt nothing but enlightened and supported. It has become less important whether or not I’ll “need” this to prepare for similar such life events of my own. I honestly don’t think I have read a more intelligent and straightforward book of any sort, in any genre. There is a peer (educated) to peer (educatable) dialogue going on between the author and the reader. And somehow, she had the strength and foresight to put into words every aspect of such a life changer as a spouse dying from cancer. I can’t imagine I would ever be able to think of all the things she has, that indeed need attention and decisions. Until I was already in the eye of the storm such an event would bring to my life and those who are a part of my life. Such a time is clearly not the best time to be rational and think critically. Even if I have read the book, I know there will be things defined or spoken of here that may not even cross my mind. So I will keep it for reference. Should the need arise. But that mattered not, as I measured my progress through this calm, collected journey, related with the best perspectives one could hope for. There are many reasons for that. First, the author is as articulate and thorough as anyone I’ve known in discussing the ins and outs of this particular subject. She has done her research. But it’s more than that. She has the gene that calls her to share her experiences, not for the purpose of sympathy, but to teach, to guide. I have no doubt the author is an old soul, one who has witnessed far more than this woman could ever have in her lifetime now. And with that perspective and objectivity, she is a most capable educator, counselor – labels that go far beyond the role this book can have in the specific situation she writes of in “Killing Us Softly”. Succinct and complete. There is no fluff. This is the real meat of the subject and she is telling it straight. When the author reminds us to question the medical professionals, especially when their attitude is condescending, or tired of your questions, it makes my shoulders a little straighter, I sit higher and remember how important it is to always come from my center. That place of strength that I have nurtured and fed. That I trust will keep me at my best in times of great stress or pain. As she explains at the start, this IS so comprehensive because she had the presence of mind to document all of the issues she discusses as they happened or came to mind. I think there are very few of us with that kind of dedication, passion and purpose. This book is intense and powerful. It is not for everyone. 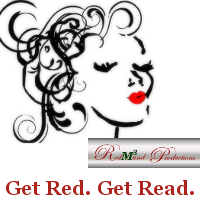 If you are a casual reader looking for a light read, read something else. However, if you are looking for a straight up experience being the surviving spouse of a cancer victim, I highly recommend this book. Or, perhaps if you are a student of human nature, the resilience, the struggles, everyday stuff, compounded by a very emotional situation, this book is for you. “Killing Us Softly” lifted my soul with the realization that we are stronger than we realize, but we must be smart about how we cope. This book can certainly be most helpful in that undertaking. This book is probably best read in small bits, perhaps a chapter or two at a time. It is organized so well, that by perusing the table of contents, one can find just the situation that the reader might be struggling with now. Perhaps it is learning how to handle the medical professionals. They are knowledgeable, but they are not the ones who must make the decisions. Or perhaps it is the well-meaning relatives and friends, who also might think they know what’s best for you and your mate, child, cancer victim. When undergoing the great trauma, the emotional roller coaster of end stage, we may not be best able to make objective decisions that are best for all. So preparation is key. And knowing what to expect helps keep some of the surprise, and its relative frustration, elements to a minimum. Finally, the author brings us back with her to her current life, a couple years removed from the raw nature of her emotions and fears and dreams she guides us through within the book. So we understand there is life after cancer. And with guidance and help, any one of us can get through to the other side, as did she. EDIT 17Aug2013: I recently experienced a close relative involved in home hospice and realized just how much this book had prepared me for the end of life events. What an astounding book this is! 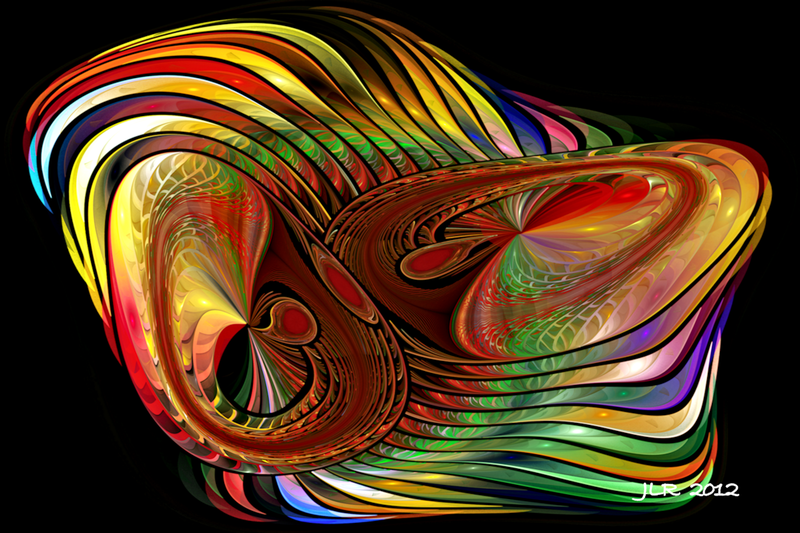 K’narc is not in my book, Fractal Dreams, which is available exclusively at RedmundPro.